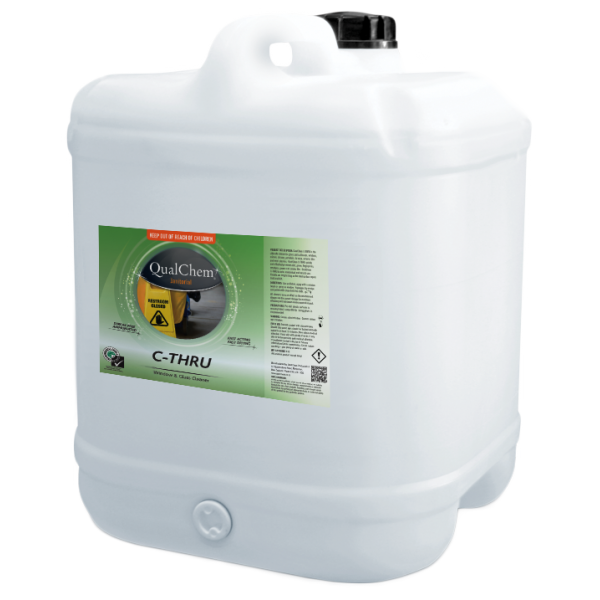 C-THRU 20L is an ammoniated clear blue alkaline window and glass cleaner, which produces outstanding results. C-THRU is the ultimate cleaner for glass, optical lenses, windows, mirrors, vinyl, leather, chrome, porcelain, formica, ceramic tiles and most plastic. Spray on C-THRU or apply with a window brush. Squeegee dry or wipe and polishwith a lint free cloth.